It has been studied for many years and finally the decision and bond issue with agreement from the town council is ready to move on the Wickford Village sewer project. Years and years of discussion and debate have happened but the reality of the sewer installation will begin in 2017. Wickford Village is a historic village on the water within North Kingstown RI. It is an amazing Nantucket like historic village with stunning antique homes that need a better septic way. The result was to install sewers but the project had been embattled for years. Thank goodness agreement by homeowners, town and town council is finally reached. The proposed sewer project will run down West Main Road to Main and Brown Street and then up a ways on Phillips Street. Because many of the homeowners have already put in newer septic systems, the town will give all homeowners up to five years to connect to the sewers. It was a compromise that needed to be reached. Unfortunately the disruption to the business owners in Wickford Village will be felt and support by all to help these businesses during this time would be a great help. It is called progress that is needed. 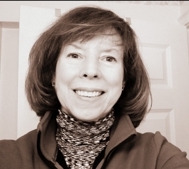 This is a public service blog by Wickford RI Realtor, Ginny Gorman, of RI coastal real estate. I live, work and play in this wonderful town. If you are ready to buy or sell real estate and need a North Kingstown specialist call me at 401.529.7849 or email me at RiByTheBay@gmail.com today.